If you're not already a member of Reddit then you're missing out on a treasure trove of information & entertainment. Along with Tumblr, Reddit is one of my favourite places to waste time on the Internet. Their tagline is 'The front page of the Internet' and that's a pretty accurate description of what it is. Users post links, images, articles or ask questions to start a discussion & others can reply or upvote/downvote the post and it's comments. Once you get used to the format Reddit becomes really fun & addictive. I suggest getting the AlienBlue app for iPhone/iPad & Reddit Enhancement Suite for your browser. No matter what you're interested in there's bound to be a Subreddit for it. I love /r/WTF for grossing myself out and on /r/IAmA you can often ask celebrities anything you want to know. I always check out /r/3DS, /r/gameofthrones, /r/britishproblems & /r/rupaulsdragrace too. 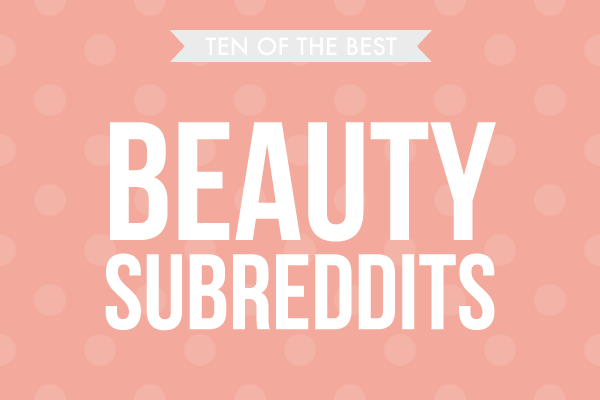 What you might not realise is that there's a huge beauty community on Reddit where you can find a lot of information that you won't necessarily read on blogs or in #bbloggers chats. Obviously running a blog is a lot of work so not every beauty lover has one. Reddit is a great way to read about products or routines that non-bloggers recommend. It's also a brilliant place to share your own blog posts. Here's some of my favourite beauty Subreddits that I think many of you will enjoy. /r/Beauty: This is a general Subreddit for all things beauty related. People always share interesting articles here. Again it's a great place to ask for advice or product recommendations. /r/NaturalBeauty: As the name suggests this Subreddit is all about natural beauty products. I'd definitely recommend checking this one out if you're making the switch to natural skincare products or makeup. There's often posts about DIY beauty products too which is really cool. /r/MakeupAddicts: There are several makeup Subreddits but this one is my favourite as there's a nice balance between FOTDs, swatches, advice & reviews. I especially enjoy the rant/rave threads as other members give quick but useful summaries of what they've been loving & loathing that week. /r/BeautyDiagrams: This board is dedicated to detailed tutorials, how-to posts & videos. This is a really helpful Subreddit if you're trying to figure out how to contour or pull off a smokey eye. They post some amazing hair tutorials too. /r/AsianBeauty: This is a wonderful resource for reviews & swatches of Korean, Chinese & Japanese beauty products. If you want to check out swatches of BB Creams or Etude House lip products then this is the place to go. Asian SPF products are often superior to the ones we can get over here so you can find out more about those too. /r/RedditLaqueristas: I like this Subreddit when I'm looking for nailspiration as people often post cool nail art here. It's another way to find swatches of polishes & read about different nail polish brands. /r/HaircareScience: If you're having problems with your hair then you can ask for advice here. There's lots of product recommendations for specific hair & scalp issues. If you're interested in the science behind co-washing, keratin treatments, silicones or sulphates then there's a lot of relevant information on this forum. /r/FancyFollicles: This is mainly a Subreddit for people to share pictures of their hair but it's a good place to look before you book a hair appointment. 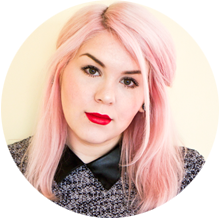 I like all the posts with pastel/weird hair colours as it's nice to know exactly which dyes people have used to achieve their look. /r/TheGirlSurvivalGuide: This is another more general Subreddit but they post some awesome 'life hacks' for girls. There's advice on a whole host of subjects including contraception, periods, supplements, anxiety, work & exercise as well as the usual hair, skin, makeup, nails etc. One of the great things about Reddit is that there are few restrictions so you can be as TMI as you want. Feel free to share all your embarrassing girl problems here.